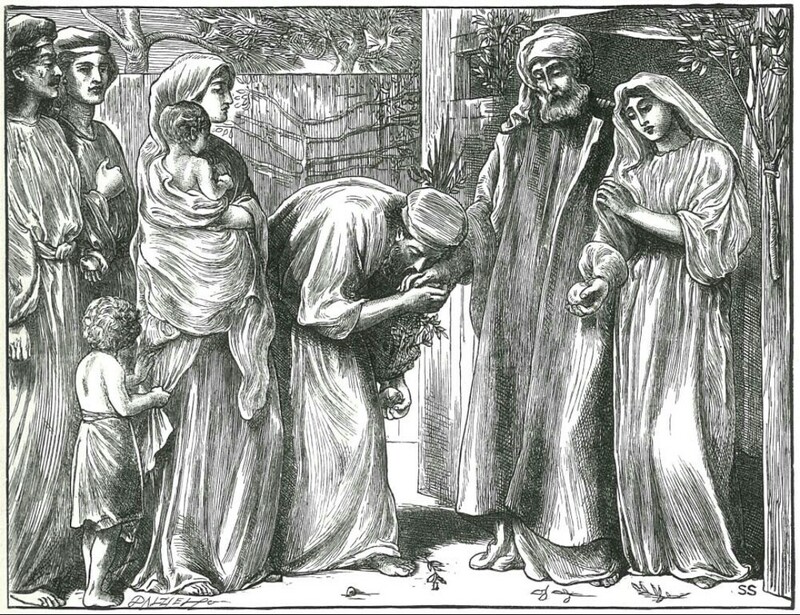 Dalziel & Co. were a firm of engravers founded in 1839. 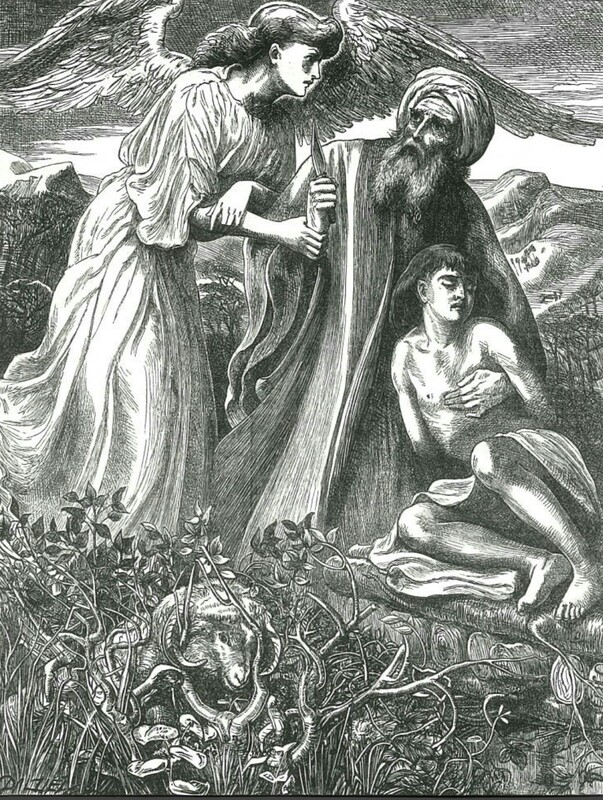 In 1863 they approached various artists to produce designs for an illustrated Bible. 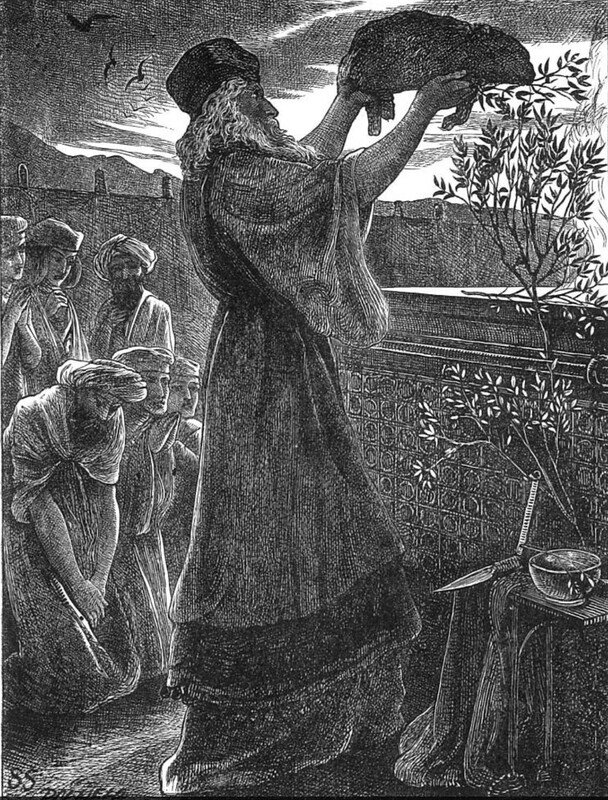 However, the Dalziels were unable to get their project published by George Routledge & Sons until 1881 when it was compiled as a “Gallery” aimed at the higher end of the market. 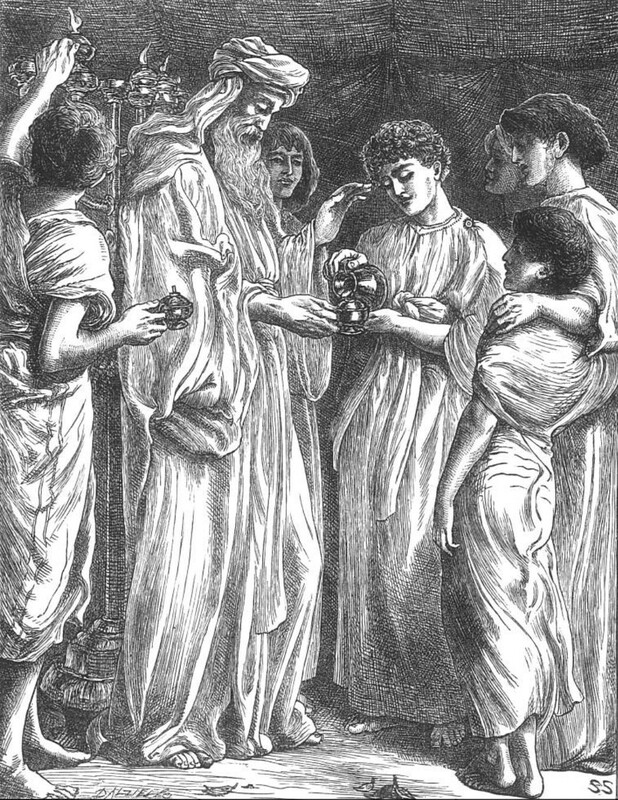 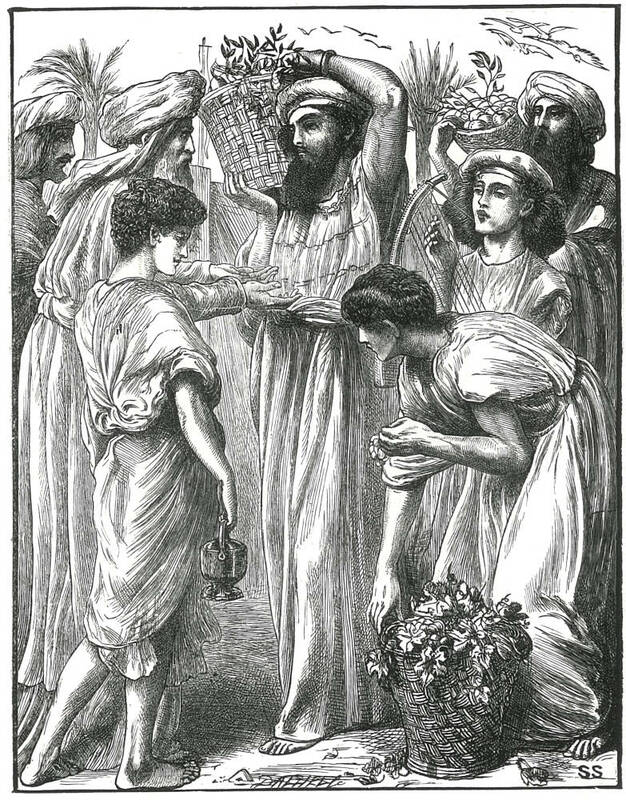 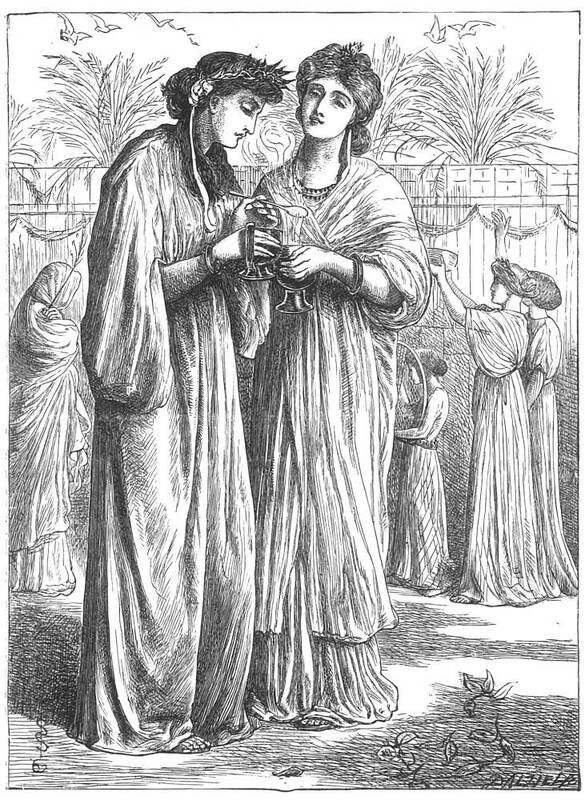 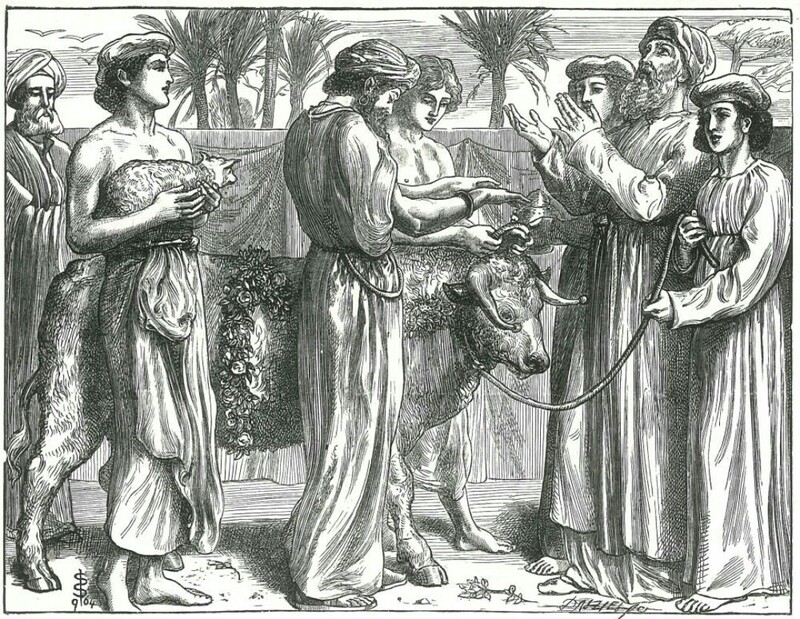 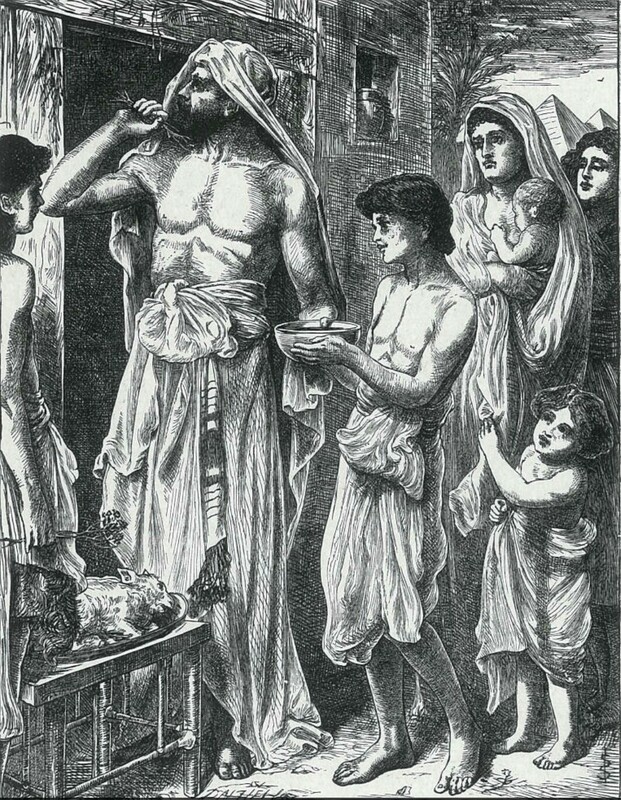 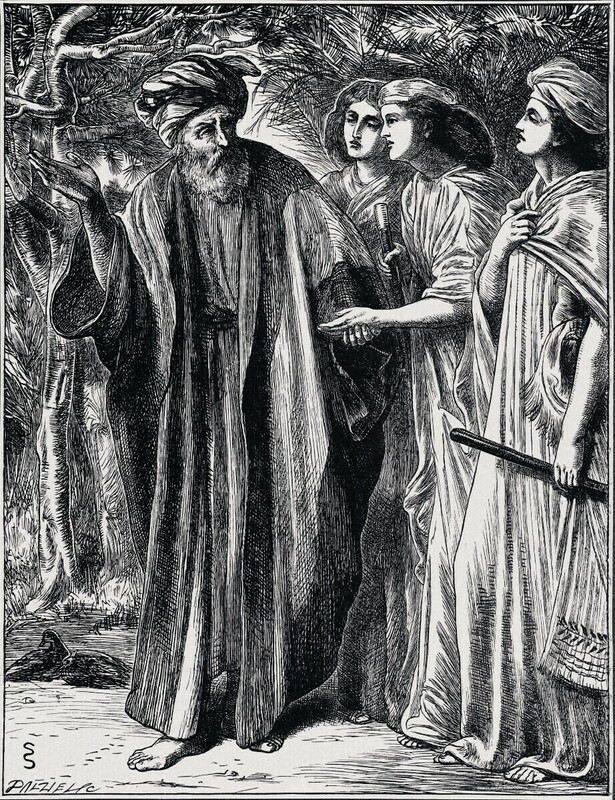 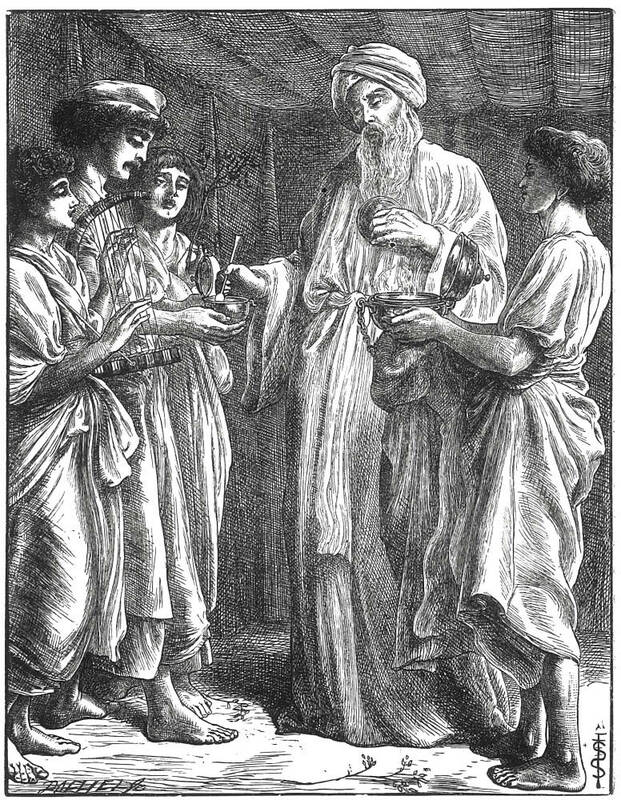 In 1894 Dalziels’ Bible Gallery was republished by the Society for Promoting Christian Knowledge in a cheaper format as “Art Pictures from the Old Testament and Our Lord’s Parables.” This version included 14 new designs by Simeon Solomon (British 1840-1905).